You are here: Home / Freebies / Hour of Code: Future Computer Scientists in the Making! Computer Science Education Week is the first week in December each year. This is a time when students around the world participate in the Hour of Code. I’ve been participating with my elementary library classes for several years now, but at first I was very reluctant to try it with my youngest classes. My lack of understanding about coding led to me feeling afraid to try to teach little ones about it. When I found the site called Botlogic, that changed for me! Now I have a great activity that starts off just where my kindergarten and first grade friends need to be. Why teach young children about coding? 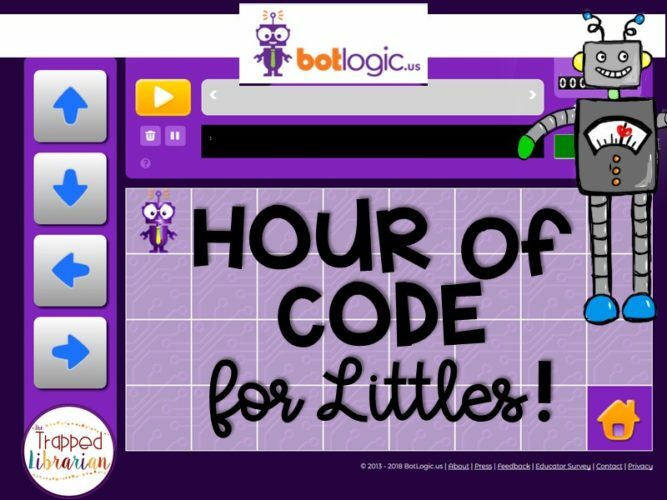 Coding activities help students develop skills in problem solving, logic, and creativity. They also help students gain the skills to become CREATORS instead of CONSUMERS of technology products. Exposing elementary students to computer science activities helps them begin to consider future careers. According to code.org, although there are over 570,00 computing jobs open in the U.S., the majority of American schools do not teach computer science. By participating in Hour of Code, you are helping to change that and show your students more opportunities for their futures! Use the tutorial with the class on a large screen or just start with the game as a whole group to talk them through how it works. Have students work in partners on a computer or iPad. This promotes communication and collaboration – you’ll be amazed at the conversations you overhear! Walk around and give suggestions, but try not to solve every problem for them! Use Botlogic more than once. I usually have my students try it for two class periods. This helps them process and apply previous learning. Send home information for parents so they can help extend the learning at home! I recommend using Botlogic with grades K-2, but I have had older students come in to tell me they’ve tried it at home (because their younger siblings showed it to them!) and they loved it too! 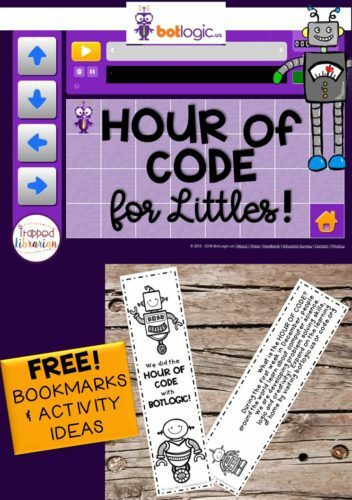 Extend Your Hour of Code! 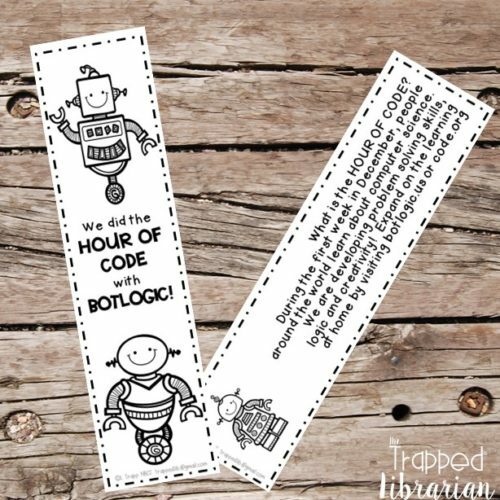 If you want to participate in Hour of Code and try Botlogic with your students, download my free bookmarks and get some other activity ideas! Love it! Thanks for the cute freebie! Thanks for the great idea- this one is new to me! I’m curious about how you handled the access code on iPads. The code I received was a lot for kids to type in. Hi Tina! I do not use the access code. They just click on the player button, use the pull down menu for their age, and click the green “Start Game” button.